Listings for an Xbox One version of Diablo III have turned up on retailer websites in Canada and the U.K. The latest edition of Blizzard's hit action-RPG franchise may soon be on its way to the Xbox One, if listings at Best Buy Canada and U.K.-based Argos are to be believed. Both sites posted pre-release ads for Xbox One versions of Diablo III, and although they were reportedly taken down at one point, they have since returned. In an interesting twist, IGN, which first spotted the listings, said they both contained the same art, quite likely a placeholder, but the returned Argos entry now sports an image different than the one on Best Buy (and IGN), an update that could be seen as giving further credence to the rumor. It wouldn't be much of a surprise: Diablo III is already available for the PC, PS3, PS4 and Xbox 360, so an Xbox One release is hardly a stretch of the imagination. Blizzard is neither confirming nor denying the report, however, saying only, "One of our goals is to bring Diablo III to as many players as possible, but we don't have any other platform announcements to share at this time." 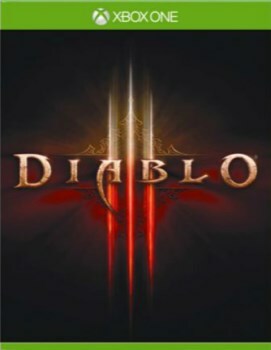 The PlayStation 4 version of Diablo III will come out later this year.